Proponents say Maine's dentist shortage is especially pronounced in rural areas. 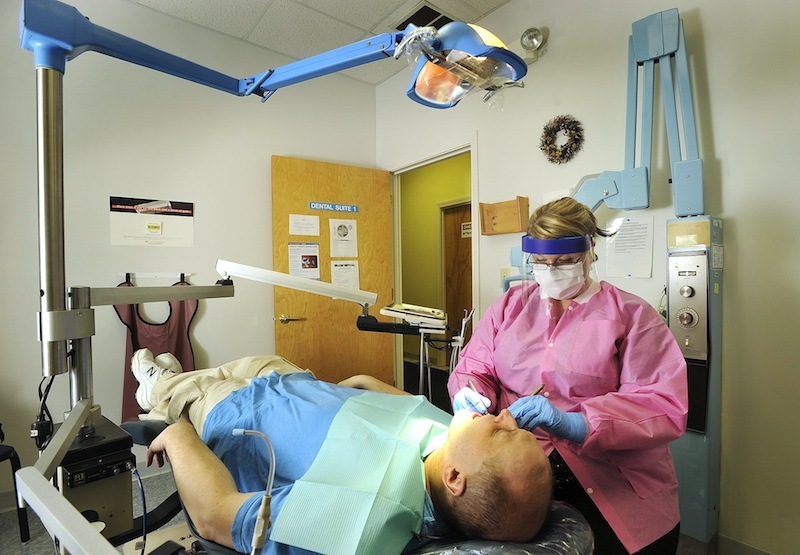 AUGUSTA — The Democratic-led House gave initial approval to a bill Tuesday that would create a new category of dental hygienists, which supporters say would provide more people access to affordable dental care. Lawmakers approved the bill on a 95-45 vote to establish a new license for dental hygiene therapists, who would be able to do some procedures like filling cavities and pulling teeth. Hygienists could become dental hygiene therapists after additional schooling, 1,000 clinical hours and an examination. Proponents say Maine has a shortage of dentists, which means many residents, especially in rural areas, often go without proper dental care. Democratic Rep. Heather Sirocki of Scarborough said about 680 dentists now serve 1.3 million Maine residents, which comes out to about 2,000 patients per dentist. But Maine has about 1,300 dental hygienists, she said. “I think hygiene therapists are a way to help the free market operate,” said Republican Rep. Deborah Sanderson of Chelsea. But some opponents say the problem is not a lack of dentists, but a failure of people to actually show up at appointments. Republican Rep. Lawrence Lockman of Amherst said the rate of cancellation for dentist appointments for MaineCare residents is about 40 percent. “I say we need to figure out why people aren’t going to the dentist, instead of blaming the dentist because people aren’t going,” he said. Opponents also pointed to concerns that the hygiene therapists would not be qualified to do some procedures. The bill, sponsored by House Speaker Mark Eves of North Berwick, faces further votes.